The Key Worker (Case Manager) is the person a) providing intensive case management services to the particular TCP client/s b) delivering the TCP. Working intensely with a small caseload, the Key Worker will directly engage and work with the child, their family, carers and others to facilitate changes that support achievement of the child’s case plan and the outcomes sought for the child or young person. 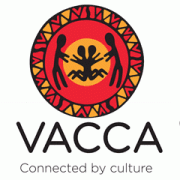 Key Workers must possess an ability to work outside traditional program boundaries, and will be supported by VACCA to do this. They will need to be culturally sensitive and make sure that all Aboriginal children whom they support are provided with appropriate cultural supports in line with their cultural support plan. We provide a positive, culturally safe workplace environment supported by family friendly and culturally sensitive workforce policies, including professional development, continuing education and staff wellbeing. Please quote in application: Key Worker/Case Manager- Targeted Care Package via Pro Bono Australia.